Board Exam 10th, 12th Results 2019: In past one year, many boards have changed their criteria for minimum passing marks. Read how each board like CBSE, MPBSE, Bihar Board, MSBSHSE, TSBIE, BIEAP assesses its students in class 10 and class 12 board exam. 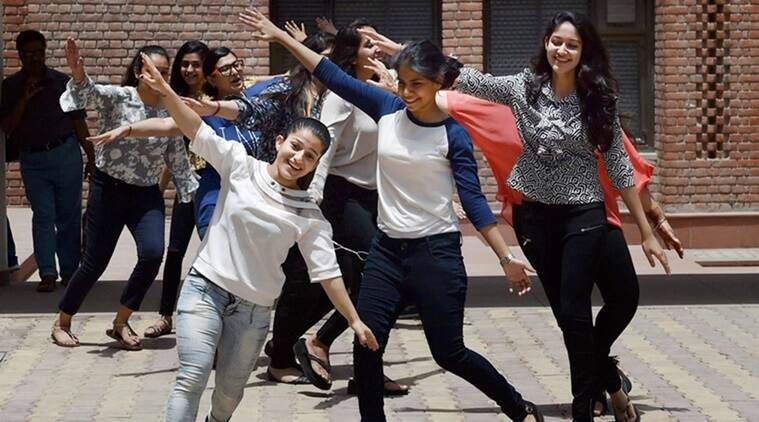 Board Exam 10th, 12th Results 2019: Considered to be one of the most crucial parts of a student’s life, board examinations are about to end and the results are expected soon. While most of the students are aiming for higher scores here is a look at the bare minimum requirement of different boards to consider a student ‘pass’. Passing class 10 and class 12 board exam is also a requirement for many competitive exams and even government jobs, irrespective of the marks obtained. Andhra Pradesh: The Intermediate Public Examination is conducted at the end of 1st year course and at the end of 2nd year course. The candidates are examined in Part-I English, Part-II Second Language and Part-III Group subjects for 500 marks in 1st year. Similarly, in the 2nd year, they are checked for 500 marks in the Arts Group and 470 marks in 1st year and 530 marks in 2nd year in MPC group, and 440 marks in 1st year and 560 marks in 2nd year for the Bi.P.C. group. As per the BIEAP, the percentage of pass marks in each paper is 35. CBSE: The Central Board of Secondary Education (CBSE) has not only reduced the pass percentage to 33 per cent from 35 earlier for class 10 and class 12; it has also announced that a student will be allowed to appear for a supplementary exam or compartment exam thrice. Class 12 students must obtain 33 per cent in theory and practical separately as well as have an aggregate score of 33 per cent. But class 10 candidates only need to have an aggregate score of 35 per cent. The results will be available at the official website, cbse.nic.in. BSEB: The Bihar School Examination Board (BSEB) or Bihar Board had last year grace marks policy; under which, a student fails in one subject only by not more than 8 per cent marks or in two subjects by not more than 4 per cent marks in each, he/she will be given the marks he/she is short of. To be termed as passed, students must obtain 30 per cent of total marks in the theory portion of each subject and 40 per cent of total marks in practical of each subject. Candidates can check results at indiaresult.com or biharboard.online. Read the full story here. ICSE: The Council for Indian School Certificate Examination (CISCE) had lowered passing marks for both class 10 and class 12 students from the academic session 2018-19 onwards. To clear the exam, a student will require 33 instead of 35 per cent for passing ICSE exams and 35 instead of 40 per cent for ISC exams. No changes have been made since. The results will be available at, cisce.org. MPBSE: The Madhya Pradesh Board of Secondary Education (MPBSE) declares a candidate pass when s/he scores at least 33 per cent marks aggregate and in each subject. Candidates can check results at the official website, mpbse.nic.in. KSEEB: The Karnataka Secondary Education Examination Board (KSEEB) has also lowered its passing marks from 35 per cent to 30 per cent in each subject, however, candidates still need to secure an aggregate of 35 per cent. Candidates can check their results at karresults.nic.in or indiaresults.com. MSBSHSE: The Maharashtra State Board of Secondary and Higher Secondary Education (MSBSHSE) or Maharashtra Board in 2014 had made a slight change in the pass percentage of students of HSC and SSC exams. While the aggregate marks to be considered as pass should be 35 per cent but the minimum marks needed in theory exam is lowered to 20 per cent. Students can check results at, mahahsscboard.maharashtra.gov.in. PSEB: The Punjab State Education Board (PSEB) has refused the reports of any change in the ‘pass formulae’ for the exam conducted in March 2019 for the academic year 2018-19. It was being speculated that the board will not give grace marks to students but the board has clarified that no final decision has been taken yet. Results will be available at indiaresult.com and pseb.ac.in. Kerala Board: The Kerala Board of Public Examinations has made 30 per cent marks as minimum criteria for students to clear SSLC, PUC exams. Students need to score aggregate and separately 30 per cent in all aspects including theory, practical, class performance etc. Students who secure D+ grade (30 to 39 per cent) in the SSLC papers are eligible to appear for the Save-A-Year (SAY) exams. Official website to check result is kbpe.org. GSHSEB: The Gujarat Secondary and Higher Secondary Education Board (GSHSEB) declares result at gseb.org. The minimum marks for the board are 33 per cent. MBSE: The Mizoram Board of School Education (MBSE) declares results at indiaresult.com and mbse.edu.in. The minimum passing marks for Mizoram board class 10 and class 12 are 33 per cent. In subjects with theory and practical, candidates have to score 33 per cent marks in each exam. BSE Odisha: Candidates securing a minimum of 30 per cent of marks in each subject or group of subjects and securing at least 33 per cent but with 45 per cent of aggregate marks are considered pass by the Board of Secondary Education (BSE), Odisha. The results are announced at bseodisha.nic.in. WBBSE: The West Bengal Board of Secondary Education (WBBSE) announces the result at wbbse.org. A student who secures 30 per cent marks in each subject is deemed passed in both Madhyamik and HSC. Tamil Nadu Board: For SSLC exam, the passing marks are 35 per cent and for class 12 exam, passing marks are 40 per cent. Candidates can check their results at the website of Department of School Education, Government of Tamil Nadu — tn.gov.in. BSEH: The Board of School Education Haryana (BSEH) declares results at bseh.org.in and indiaresults.com. To pass the exam, one has to score at least 33 per cent marks in aggregate of the external examination and separately in the practicals that are being conducted by the school. For those who have flunked in the annual exam in a subject or two can apply for the supplementary exam. GBSHSE: The Goa Board of Secondary and Higher Education (GBSHSE) declares results at the official websites, gbshse.org and examresults.net. Candidate should score a minimum of 33 per cent in aggregate to pass a subject by scoring a minimum of 21 per cent in theory and 21 per cent in practicals. Class 12 marks are considered for admissions to universities and colleges as well as for the competitive exams. 2 BITSAT 2019 slot booking starts: How to book a slot?